It seems Thor Equities has been busy keeping their promise. So far they have begun assembly on a new ride. 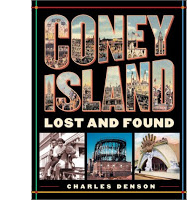 A picture taken by Coney Island USA message board poster Screwtape. 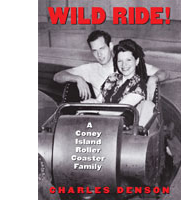 Correction: To be more specific, as a comment that was made to this post, indicating that we were too general: It is a given that Thor Equities is not assembling these rides but have contracted the traveling carnival company, Reithoffer Shows to bring these rides to Coney Island. This is not a spin tactic. Kinetic Carnival whole heartedly supports the movement to keep a large thriving amusement area in Coney Island. Calling it a "Thor ride" and saying "they" have begun assembling it is completely inaccurate! The ride is owned by the traveling carnival Reithoffer Shows, which contracted with Thor to bring their attractions to Coney from May 22-June 3. 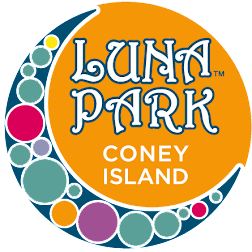 It is not a permanent attraction and means nothing for the future of Coney's amusement district. The people setting up the ride are obviously ride jocks employed by Reithoffer, not Thor. All Thor Equities deserves credit for is getting lots of media coverage by publicizing the temporary rides and attractions as The Summer of Hope at the same time they are putting the screws to the city to rezone the area for highrise condos and retail. Your spin tactics won't work, Thor! Better get your pr flacks to improve their skills by riding the Tilt-A-Whirl!